The organizing committee is delighted to invite you to ACM SIGCOMM 2018, to be held in Budapest, Hungary on August 20-25, 2018. 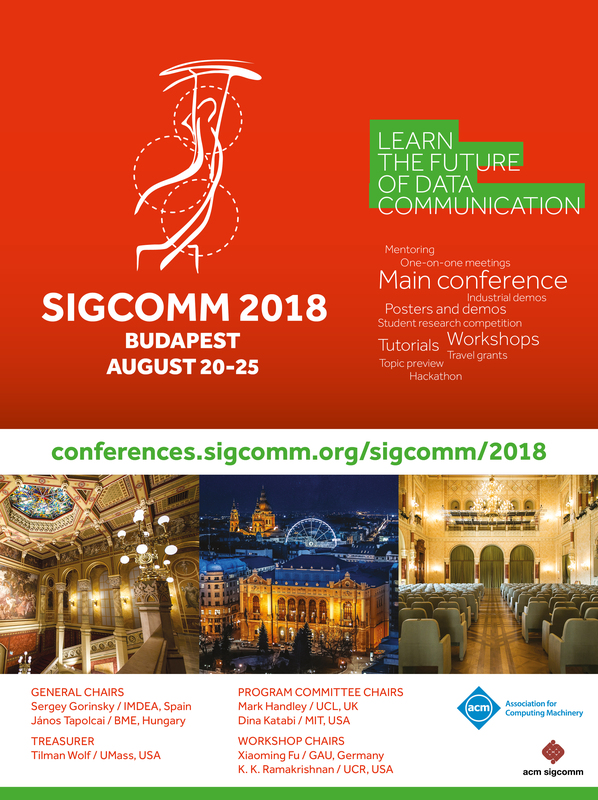 SIGCOMM is the flagship annual conference of the ACM Special Interest Group on Data Communication (SIGCOMM) on the applications, technologies, architectures, and protocols for computer communication. Main-conference and workshop videos with presentation-specific YouTube links are available via the program webpages (and on the individual workshop webpages). See you at SIGCOMM 2019 in Beijing!